Donna, a dedicated professional in her field, adds years of experience and expertise to Welcome Smiles. Holding a degree from the New England Dental Assistant School and a specialization in radiology from the Massachusetts Dental Society, Donna contributes an academic curiosity to this innovative practice. 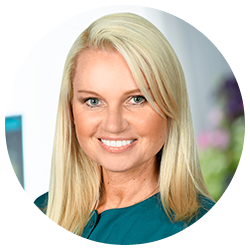 She is constantly seeking growth in becoming even more effective in her profession, and is passionate about sharing with patients the importance of oral health and how it can impact your life physically and emotionally. One of Donna’s particular strengths as a dental assistant is her naturally comforting demeanor in stressful situations. As a people-lover, Donna enjoys spending time with her husband, daughter, and 90-year old grandmother when outside the office. In her free time, Donna also seeks out new countries to travel to; as a Polish speaker, she is experienced in appreciating different cultures.